Search engine optimization, or SEO, refers to the means by which sites improve their ranking in search engine results pages. Getting the visibility you desire on those results pages isn’t an easy process: Even small coding errors can cause your site’s ranking to suffer. Fortunately, WordPress is widely known to be a SEO-friendly CMS. Using their well-designed templates, your site will be free of the common errors that damage search engine rankings. The URL structure of this CMS caters to SEO as well, allowing you to influence rankings by including keywords in URLs. WordPress also utilizes an automatic pinging system that notifies search engines when new content is posted to your site, helping your content get indexed faster. 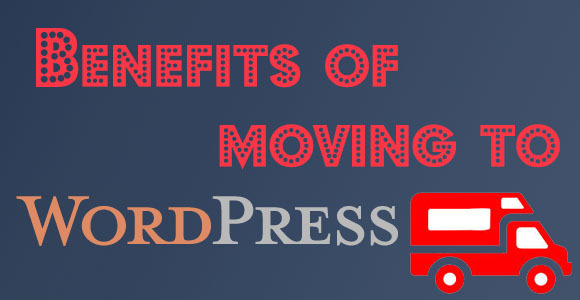 Most users who have switched to WordPress enjoy the simplicity of the platform. The editor and photo uploader are easy to use, even for inexperienced bloggers. Unlike other systems, no knowledge of HTML is needed to update the site and post content. Many bloggers like to first write their blog posts in Microsoft Word, and then paste it into their CMS editor. Unfortunately, many systems do not handle this process well, and the pasted content often disturbs the formatting of the template. No such problems occur within WordPress, which has a feature explicitly designed for this copy-and-paste process. As discussed above, WordPress requires no coding experience to maintain a site. You can control your site yourself, with no need for web developers or programmers to make minor changes. When you’re not available to do the work yourself, you can also delegate control within WordPress, granting multiple users permission to update the site in real time. Since WordPress is an browser-based online system, you can work on your site from any computer that has internet access, without worrying about whether the appropriate software is installed. Many former users of Blogger have moved to WordPress for a different control-related reason: Google, which is the owner of Blogger, maintains the right to delete blog accounts at their discretion. Switching to WordPress eliminates this risk and puts you in the driver’s seat. WordPress isn’t just for the casual blogger or small business owner. Corporations are now frequently turning to WordPress to handle their website and corporate blog functionality. Among the many advantages that lure corporations to WordPress is its scalability. As a corporate blog’s readership grows, WordPress has the ability to scale and keep the site running smoothly. You can also take advantage of the large number of plugins available for WordPress as your corporate website evolves, keeping it fresh and unique among its competitors. An example of such a plugin is the simple contact form you can add to any page, allowing the admin to receive the form submissions via email. This functionality is an ideal way to keep the lines of communication open with your customers. As you can see, there are multiple reasons to make the move to WordPress: simplicity, scalability, control, and SEO are just a few of the many benefits. The CMS is free, so there’s no risk in downloading it and giving it a try. You may be pleasantly surprised with the results! Author Bio: This post comes from Jay, an amateur internet marketer. He has been plying his trade by reading the matter Solutions blog, and using internet marketing forums to learn more about Word press and making money online.